What is compliance and traceability? Many TrackAbout customers are in industries that have strict guidelines for the usage of the assets that we track or their contents. These are typically either medical products or hazardous materials. Our customers must keep accurate and organized records of many activities around these assets. These records are commonly required by a government inspector or an internal audit or compliance officer. 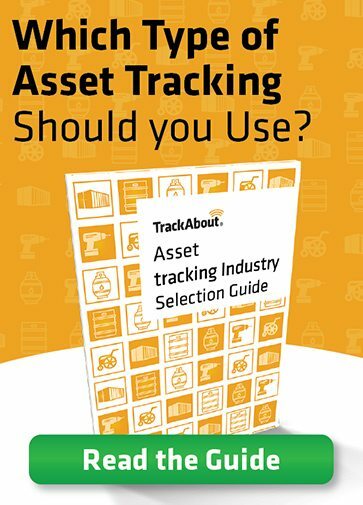 What problems do asset tracking tools solve? What activities were performed on this asset? Where are the compliance records for these activities? Did the worker perform all of the required steps for each activity? Are all workers using the latest version of our standard operating procedures? Where are all of the assets in this recall? How can I provide customers with lot numbers for their own traceabilty needs? Where is the most recent analysis record for this asset? How does compliance and traceability work? Compliance typically comes down to people, processes, and technology. TrackAbout can be the technology piece of this puzzle and will help to enforce that your people follow the right processes. TrackAbout works by setting up both digital forms to fill out when actions are performed and also rules that will stop a user and request that these forms be filled out during various actions. These forms are commonly filled out on a mobile device including a smartphone, tablet or rugged mobile computer/scanner. The operator typically scans a barcode on the assets using the camera or dedicated scanner in the device. All data collected in the field is stored in TrackAbout’s secure website. Can I trust TrackAbout with my compliance records? TrackAbout has passed detailed vendor audits from global companies using our service to collect and store both medical and hazardous materials compliance information. These audits include reviews of our policies and procedures, security penetration tests and other forms of due diligence. TrackAbout builds our software to the GAMP5 standard used in the pharmaceutical industry. All software changes go through a risk assessment and quality assurance process before being released to our customers. Your data is hosted with Microsoft Azure which has most compliance certifications of any hosting provider. In the real world, paper based systems have lots of holes. Records can be missing. Fields on a paper sheet can be missed. Handwriting can be hard to read. Operations can fall behind and then do all of their paperwork at the end of their shift rather than when they are actually doing the work. Moving to TrackAbout’s electronic compliance system helps to close these gaps. Instead of keeping binders of activity records and spreadsheets of logs in different places all of this information can be brought into one place. We make this data easier to collect and much easier to retrieve when you need it.